SiteGround Reseller Hosting program is created for web designers and developers that maintain their customers’ websites on a long term basis. 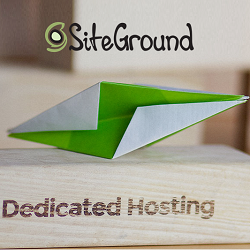 SiteGround make it easy to include a highly reliable web hosting as part of your service and increase your revenue at the same time. 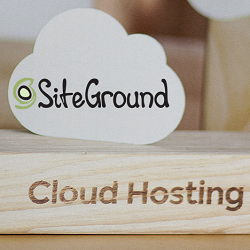 SiteGround Reseller Hosting is extremely affordable and flexible to manage. You need to join the program with 5 reseller credits. 1 credit is equivalent to 1 year hosting. The more credits you buy, the more discount you get. 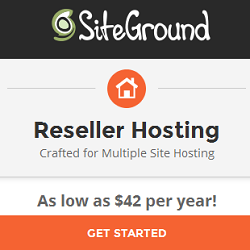 SiteGround Reseller Hosting comes with great reseller experience and amazing hosting quality! Easy Management – All reseller tools in one place for easy managment of hosting accounts. White Label Option – Non-branded cPanel and Private DNS upgrade for better server name branding. Unmatched Speed – Websites fly on their advanced technology and speed boosting solutions. Advanced Security – They keep their servers, user accounts and applications covered. Guaranteed Uptime – They achieve high uptime leading to actual results of over 99.99%. 24/7 Reseller Support – Their experts are always available and provide fast technical support. Subscribe to Get Free Web Hosting Deals, Coupons, Offers, Promo Codes and Hosting Knowledge. Subscribe to Get Free Web Hosting Deals, Coupons, Offers & Promo Codes. How to Start a Blog and Make Money in 2019? How to Start a WordPress Blog on BlueHost in 2019? SiteGround Renewal Discount 2019 – How to Save 50% on Renewal? Disclosure: We at webhostinginsights.com receives compensation from the companies whose products we review or promote. We are independently owned and the opinions expressed here are our own.